More Than Just Traditional Buffing. There are few things more satisfying than the beautiful gleam of a freshly detailed car. When your car sparkles in the sunlight, you’re guaranteed a good mood. 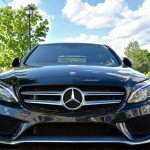 Fortunately, at Wash Me Now, several of our detailing packages include three stage compound and polish. This is different than traditional buffing methods, allowing for a brighter shine and perfect polish! 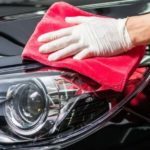 After your car has been professionally washed, we make it shine like new again – we explain how below! There are three stages involved, each with a specific purpose. The first stage is a polishing process to remove scratches. Next comes super finishing, and the application of wax or sealer. Using one of the most advanced random orbital polishers on the market, we are able to offer superior buffing in less time and with better results. Unlike traditional buffers that rotate in one direction, our latest technology allows for the removal of swirls, scratches and water spots – your vehicle will look like new! Remember, Wash Me Now offers more than just buffing – we are dedicated to providing the best interior and exterior detailing in the Greater Toronto Area! Whether your car is still covered in salt stains or hasn’t been thoroughly cleaned in years, we have all the equipment necessary to give your vehicle a fresh start this spring. What’s more, we clean more than just cars! We also offer detailing services for trucks, vans, boats, RVs, campers and more! We come to your location and provide unparalleled detailing services on your schedule! It’s convenient and the best way to get into spring cleaning! Contact Wash Me Now today to book an appointment! Call (647) 607-5199 or click here! We also offer gift certificates for our detailing packages – take advantage today!